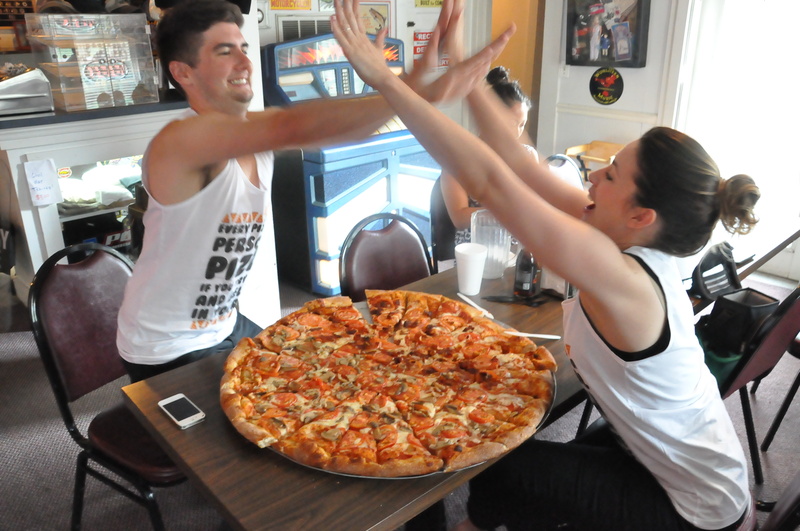 After spending the whole day drinking nothing but juice and eating apples, I was beyond ready to eat a 28-inch pizza from Family Pizzeria and complete goal #6: Enter a food eating contest. Despite the fact that it took two hours to get to Stafford from the Franconia-Springfield metro stop, which nearly broke me (at one point I started quoting Martin Luther King, Jr.), we made it safely. Being hangry is not pretty. That’s all I’m going to say. Once we got there, we listened to the rules, signed waivers, and chose our toppings. 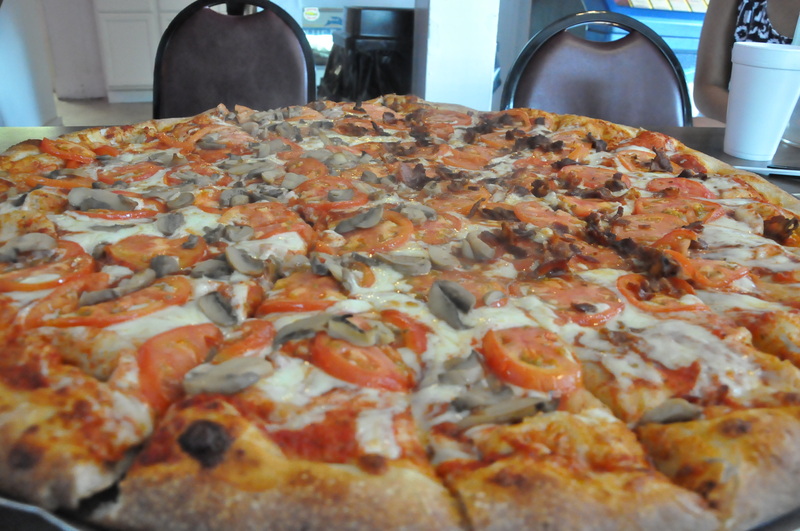 Patrick went with mushrooms and tomatoes and I requested bacon and tomatoes. Keep in mind that no decision we made was spur-of-the-moment. From the beverages to methods, we were prepared. 20 to 30 minutes later, our pizza was ready. Like the moon blocks the sun during a solar eclipse, this pizza blocked all overhead lighting during the time it was carried from the kitchen to our table. We’re talking HUGE. It really was all fun and games at first. I easily ate a few slices while laughing at Patrick’s sloppy folding method and no-shits-given attitude, but I knew this was not going to be as easy as I had anticipated. 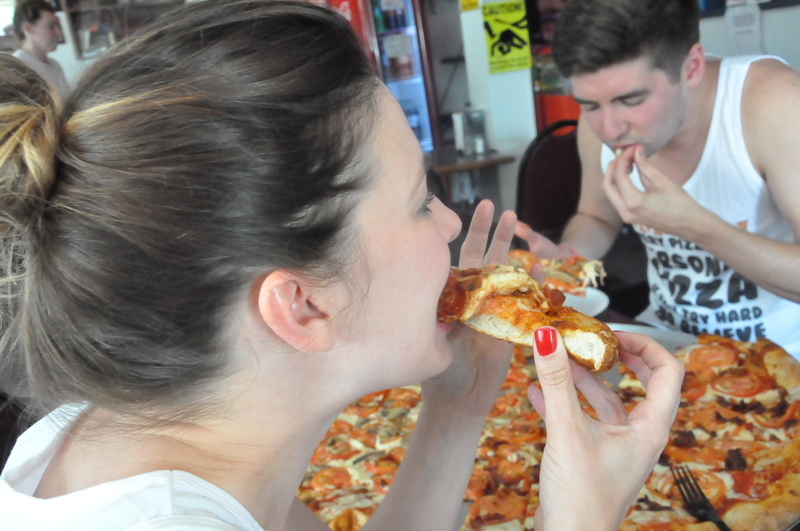 A few slices later, and Patrick started to sound like he was giving birth. His lamaze-like breathing started to concern me. “Please don’t throw up,” I kept thinking — a hope for both Patrick and myself. As a matter of fact, I tried to ban everyone from saying the word. A few more slices go down. Patrick’s exhales become even more dramatic. We both do some light calisthenics. Then it hit me. I nearly gagged on a tomato. I couldn’t eat one more bite. Of all the things on my pizza, I was not expecting the tomato to push me over the edge. About half way through my six pounds, I had to give up. Patrick continued to eat a few more bites, but you could tell he was so over it. The time came to admit defeat. No $40. No winners t-shirt. 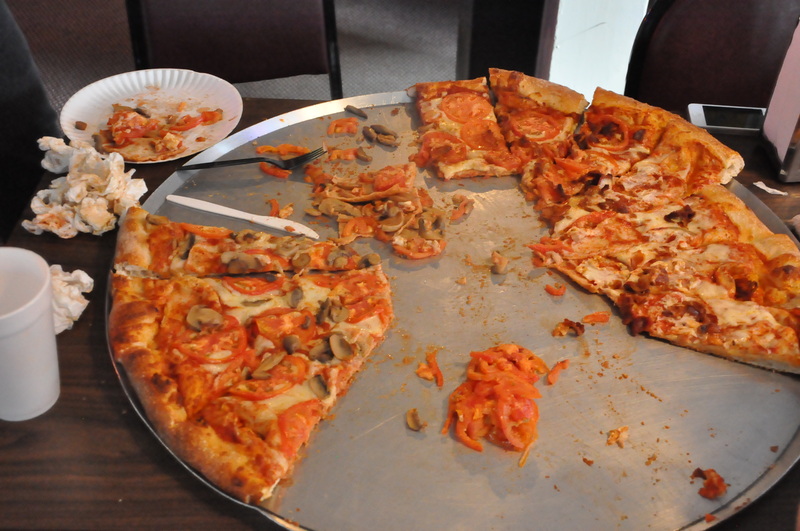 We became the 316th duo to fail the Family Pizzeria’s 28-inch pizza challenge. 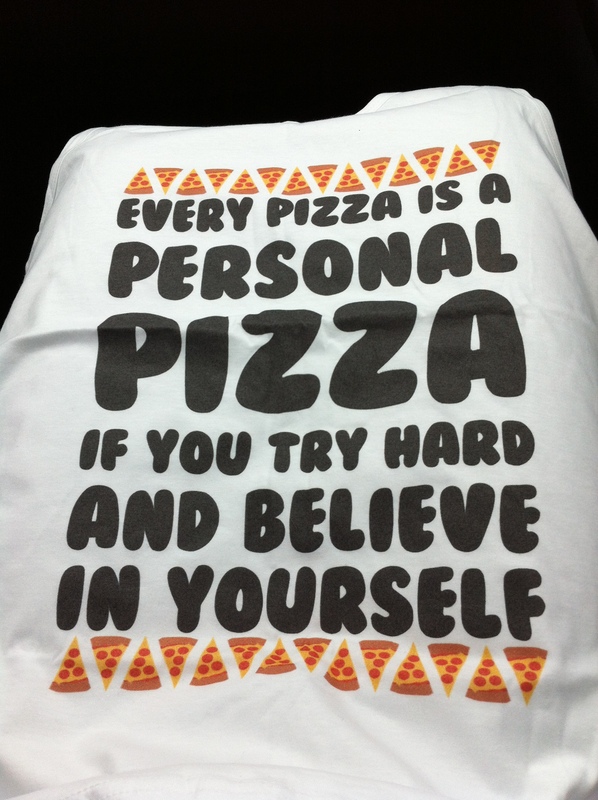 No more pizza, please. Ever. Despite the loss, I am proud of us and our ability to eat three pounds of pizza each. Patrick went above and beyond. I couldn’t have had a better partner. A big thanks to Patrick, Kanae, Kris and all of our friends following us on social media and your words of encouragement. 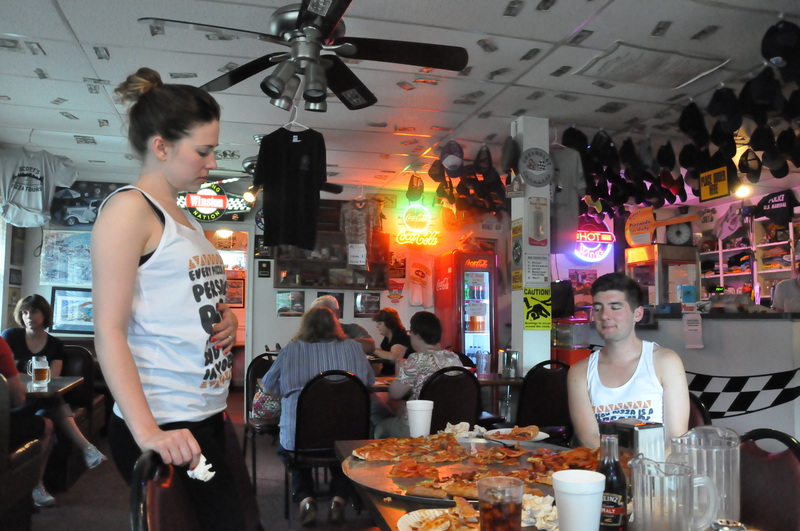 We will never forget the day we tried to conquer #pizzacake28.